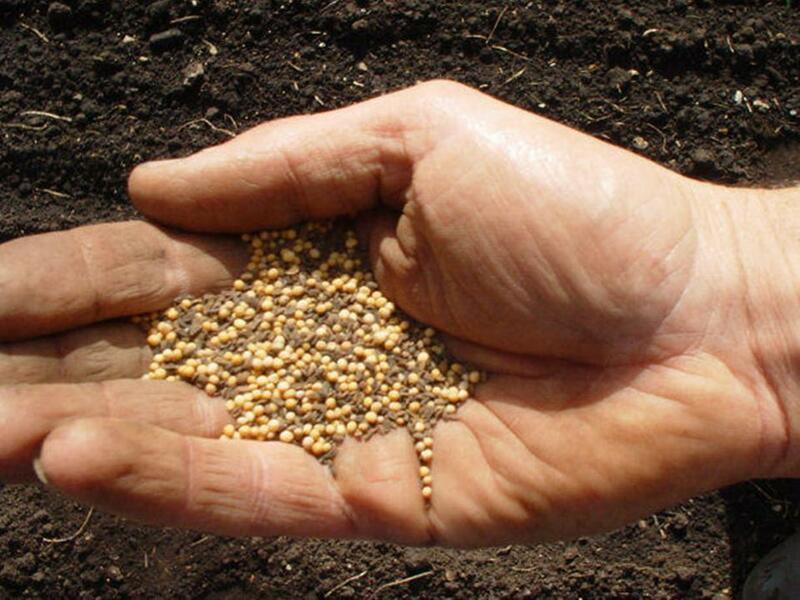 What Is Mustard Seed Faith? There are two words for “to know” in the Greek Biblical language. One is Strong’s number 1097, “ginosko”. To those who speak Spanish, this is the word “conosco” or to know something or someone progressively over time. The other one is Strong’s number 1492, “oida”. “Oida”, is not knowledge progressively acquired over time as “ginosko”. Rather it is, gut feeling, instinctual, intuitive and instantaneous knowledge. When you go to church today and see your neighbor, Mr. Brown’s daughter wearing a red dress, you can write and tell me that Mr. Brown’s daughter was wearing a red dress. You did not have to progressively study Mr. Brown’s daughter’s dress for several weeks to tell me that. This is oida, gut feeling, intuitive knowledge. The other number in this blog, 5758, is a Greek verb tense, the perfect active indicative. The perfect tense, describes an occurrence which completed in the past, but its results and impact are as fresh and real now as they were when the event transpired. The indicative mood designates irrefutable fact. Any verb in the indicative mood specifies that the action will definitely occur, no two ways about it. Now couple “oida” with the perfect indicative verb tense. What do you get? It’s like saying, “I know, that I know, that I know, that this thing will happen or has happened, or that I will get what I asked for. This is the kind of faith which pleases God and which He answers. It’s thanking Him in advance for the yet unseen. We need to stop saying, I am not sure that God will provide, or that I will not have enough money to pay my bills, or I can’t, and turn it around to say, I can pay my bills, I do have the money, I do have the resources, I can, or God will heal me. These tiny phrases, I will, or I will have, I can, or God will, versus, I don’t have or I can’t, can make the difference between obtaining and not obtaining. Mustard seed faith can go both ways. The oida perfect indicative in your heart or the absence thereof is the mustard seed or the absence thereof. Look at some of the oida perfect indicative scriptures. Mt 6:8 Be not ye therefore like unto them: for your Father knoweth <1492> (5758) what things ye have need of, before ye ask him. Mt 6:32 (For after all these things do the Gentiles seek:) for your heavenly Father knoweth <1492> (5758) that ye have need of all these things. Mt 7:11 If ye then, being evil, know <1492> (5758) how to give good gifts unto your children, how much more shall your Father which is in heaven give good things to them that ask him? Mt 24:36 But of that day and hour knoweth <1492> (5758) no man, no, not the angels of heaven, but my Father only. Mt 24:42 Watch therefore: for ye know <1492> (5758) not what hour your Lord doth come. Mr 1:24 Saying, Let us alone; what have we to do with thee, thou Jesus of Nazareth? art thou come to destroy us? I know <1492> (5758) thee who thou art, the Holy One of God. Lu 12:30 For all these things do the nations of the world seek after: and your Father knoweth <1492> (5758) that ye have need of these things. Joh 4:25 The woman saith unto him, I know <1492> (5758) that Messias cometh, which is called Christ: when he is come, he will tell us all things. Joh 5:32 There is another that beareth witness of me; and I know <1492> (5758) that the witness which he witnesseth of me is true. Joh 7:28 Then cried Jesus in the temple as he taught, saying, Ye both know me <1492> (5758), and ye know <1492> (5758) whence I am: and I am not come of myself, but he that sent me is true, whom ye know <1492> (5758) not. Joh 7:29 But I know <1492> (5758) him: for I am from him, and he hath sent me. Joh 11:22 But I know <1492> (5758), that even now, whatsoever thou wilt ask of God, God will give it thee. Joh 11:24 Martha saith unto him, I know <1492> (5758) that he shall rise again in the resurrection at the last day. Joh 15:15 Henceforth I call you not servants; for the servant knoweth <1492> (5758) not what his lord doeth: but I have called (5758) you friends; for all things that I have heard of my Father I have made known unto you. Joh 16:30 Now are we sure <1492> (5758) that thou knowest <1492> (5758) all things, and needest not that any man should ask thee: by this we believe that thou camest forth from God. Joh 21:17 He saith unto him the third time, Simon, son of Jonas, lovest thou me? Peter was grieved because he said unto him the third time, Lovest thou me? And he said unto him, Lord, thou knowest <1492> (5758) all things; thou knowest that I love thee. Jesus saith unto him, Feed my sheep. Ro 8:27 And he that searcheth the hearts knoweth <1492> (5758) what is the mind of the Spirit, because he maketh intercession for the saints according to the will of God. Ro 8:28 And we know <1492> (5758) that all things work together for good to them that love God, to them who are the called according to his purpose. Ro 15:29 And I am sure <1492> (5758) that, when I come unto you, I shall come in the fulness of the blessing of the gospel of Christ. Php 4:12 I know <1492> (5758) both how to be abased, and I know <1492> (5758) how to abound: every where and in all things I am instructed both to be full and to be hungry, both to abound and to suffer need. Php 1Jo 2:20 But ye have an unction from the Holy One, and ye know <1492> (5758) all things. 1Jo 2:21 I have not written unto you because ye know <1492> (5758) not the truth, but because ye know <1492> (5758) it, and that no lie is of the truth. 1Jo 3:14 We know <1492> (5758) that we have passed (5758) from death unto life, because we love the brethren. He that loveth not his brother abideth in death. 1Jo 5:15 And if we know <1492> (5758) that he hear us, whatsoever we ask, we know <1492> (5758) that we have the petitions that we desired (5758) of him. 1Jo 5:19 And we know <1492> (5758) that we are of God, and the whole world lieth in wickedness. 1Jo 5:20 And we know <1492> (5758) that the Son of God is come, and hath given (5758) us an understanding, that we may know him that is true, and we are in him that is true, even in his Son Jesus Christ. This is the true God, and eternal life. Re 3:1 And unto the angel of the church in Sardis write; These things saith he that hath the seven Spirits of God, and the seven stars; I know <1492> (5758) thy works, that thou hast a name that thou livest, and art dead. Re 3:8 I know <1492> (5758) thy works: behold, I have set (5758) before thee an open door, and no man can shut it: for thou hast a little strength, and hast kept my word, and hast not denied my name. Re 3:15 I know <1492> (5758) thy works, that thou art neither cold nor hot: I would thou wert cold or hot. ← The Flagstaff / Navajo Nation Healing Revival!